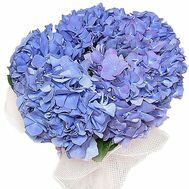 A bouquet with hydrangea is a pleasant gesture of attention. 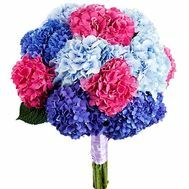 Hortensia appeared in the sight of florists in the 18th century, when they only arrived in Europe. Delicate flowers, growing large bushes, soon conquered the whole world with its unfading beauty and tenderness. After all, in the language of flowers, hydrangea is a hope, a belief and a symbol of sensual love. 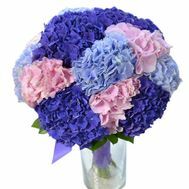 A beautiful bouquet of hydrangeas is better than any gift to express feelings and emotions, become an assistant in affairs of love or strengthen family ties. A small bouquet perfectly decorates the home interior, as well as it can be presented to parents for a golden wedding. 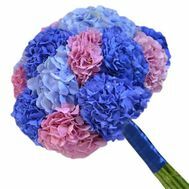 The strength of this flower will also be appreciated by your beloved wife, who can be presented with a huge bouquet of these magnificent flowers. 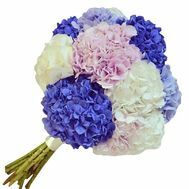 Buy a bouquet of chic hydrangeas, and you definitely will not be mistaken with the choice, because this flower will help decorate any holiday, its kind and aroma giving unforgettable emotions. Also you can choose an additional gift that will emphasize the bouquet: sweets, toys or balloons. Our reputation will tell all for itself: we already have more than 20 000 satisfied customers and 40 000 orders fulfilled. With customer feedback you can find in the right section on the site, as well as become one of them today. Customer-oriented: in our store the most loyal prices, as well as a lot of actions and discounts, which you will like. 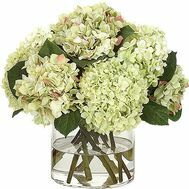 Order a bouquet of hydrangeas with delivery, and after just a couple of hours the recipient will shine a happy smile!